If you own a thermomix, you really have no excuse not to be making your own jams especially when berries are in season and really cheap! The jams you buy from the supermarket can be full of additives (especially diet jams) and don’t taste nearly as good as homemade jams. Generally speaking jam will last 1 – 2 months in the fridge however I have had mine in the fridge for over 3 months and it is absolutely fine. I always sterilise my jars and use a clean knife each time (different from the butter knife) which helps in preserving the jam. The below recipe will not be as sweet until it is set and cold from the fridge. Place all ingredients in your thermomix bowl and cook for 35 mins at 100 degrees on speed 1. Once cooked, pour into sterilised jars and seal. 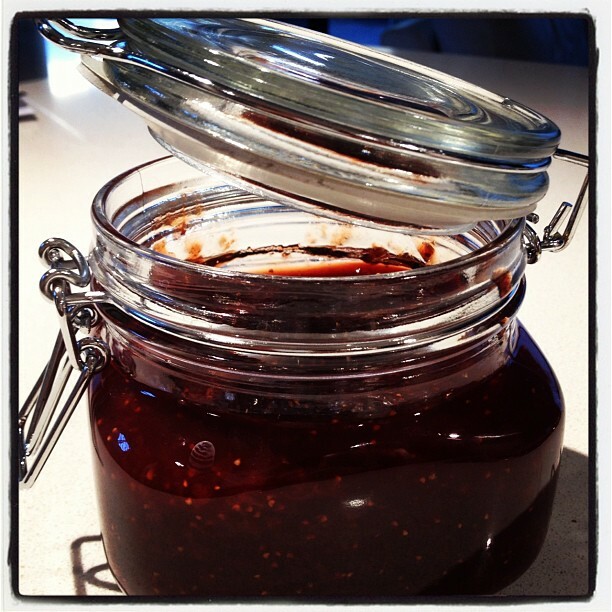 If you would like a thicker consistency, use some jam setter or natural pectin (I do as I prefer the texture).